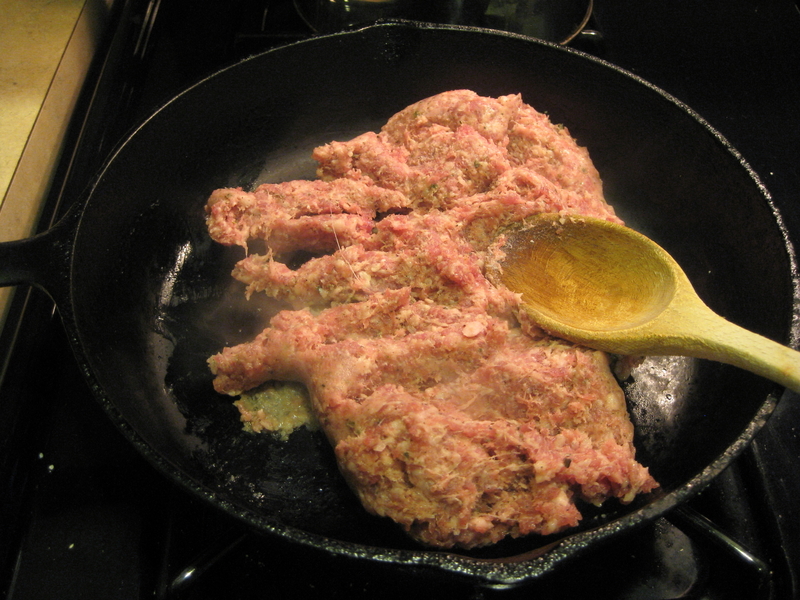 Brown sausage in oil in skillet over medium-high heat. 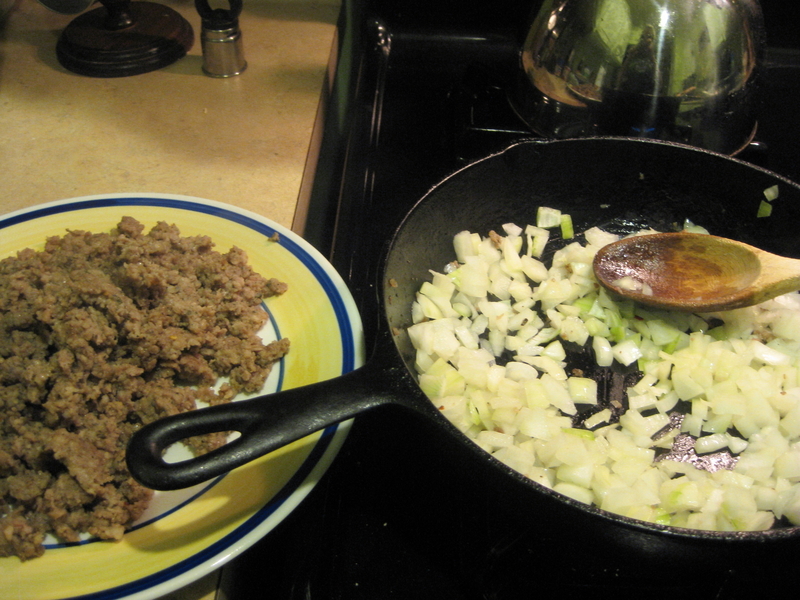 Spoon sausage onto a plate and keep drippings in skillet. 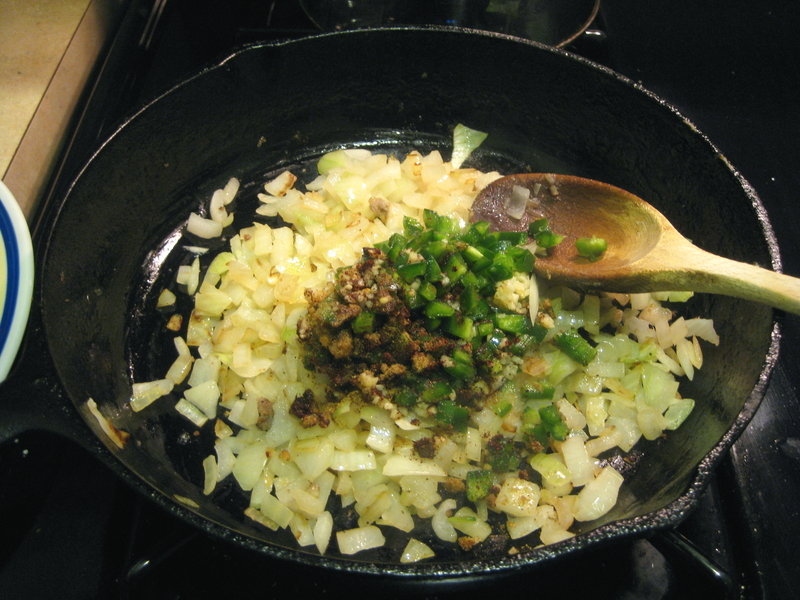 Add onions to hot drippings and saute 4 minutes or until translucent. 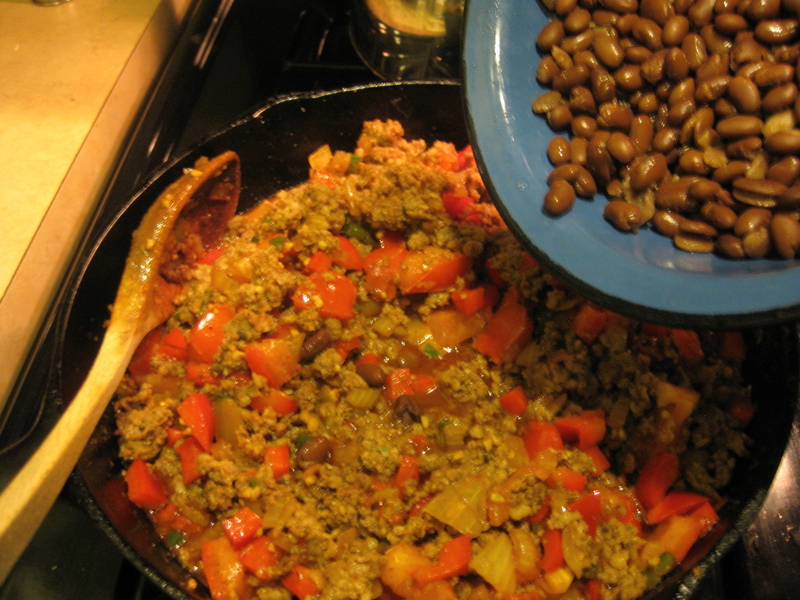 Add jalapeno, garlic, chili powder and cumin. Saute 3 minutes. 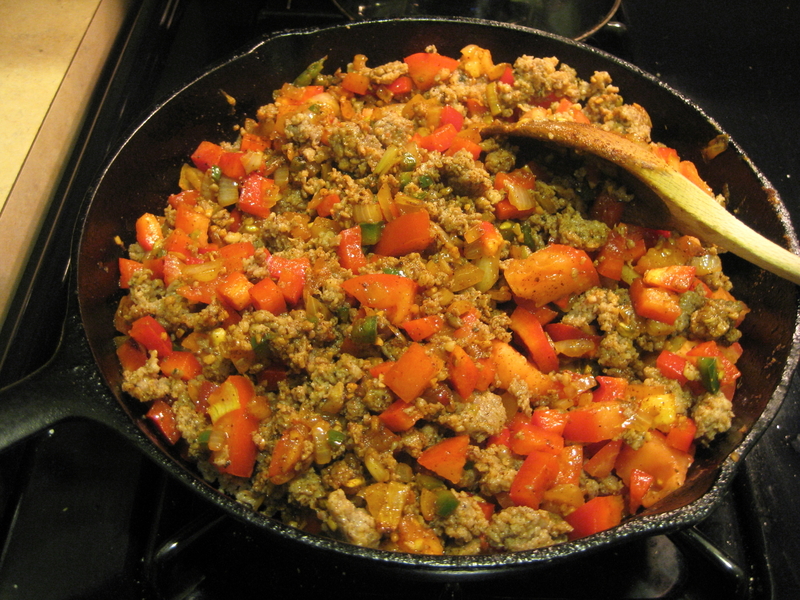 Add browned sausage, bell pepper and tomato. Saute 3 minutes. Drain excess fat. 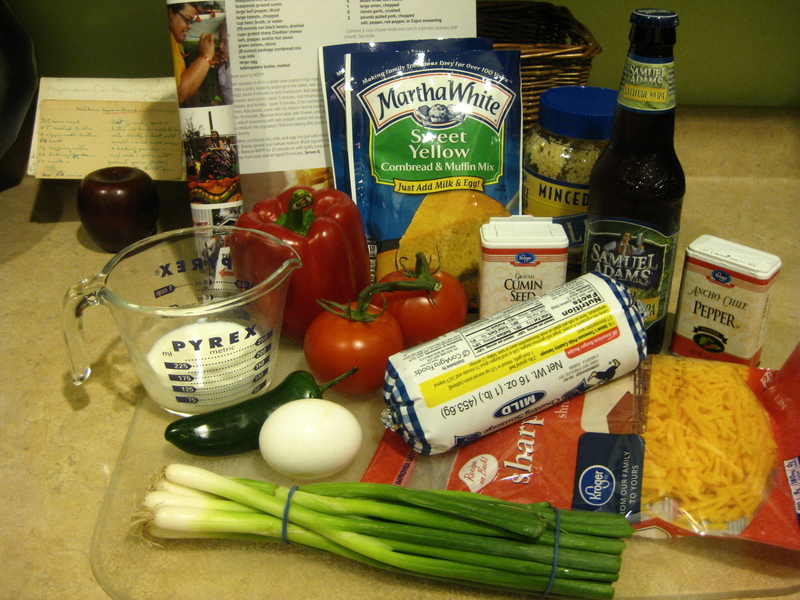 De-glaze skillet with beer (or broth or water – I am using beer). 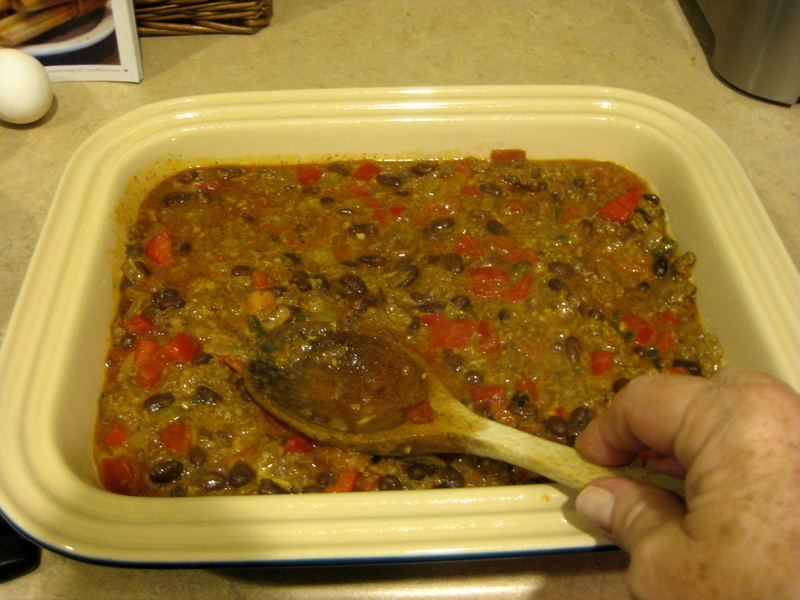 Add beans, cover with lid, reduce heat to medium-low and simmer 10 minutes. 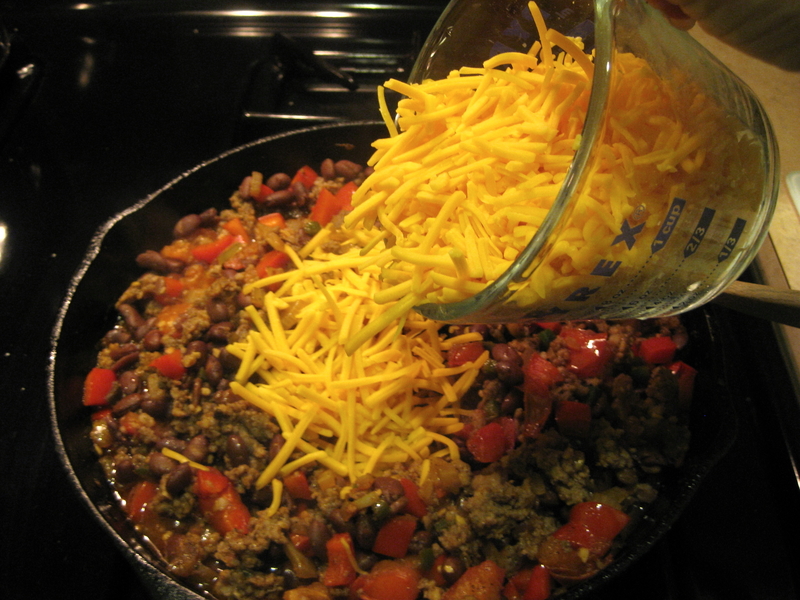 Remove from heat, add cheese and stir well. Taste. 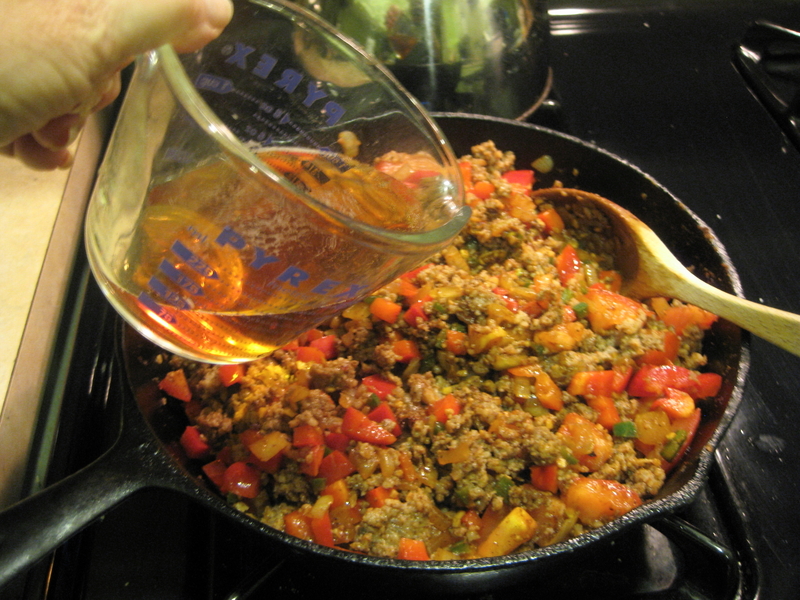 Adjust seasoning with salt, pepper and/or hot sauce. 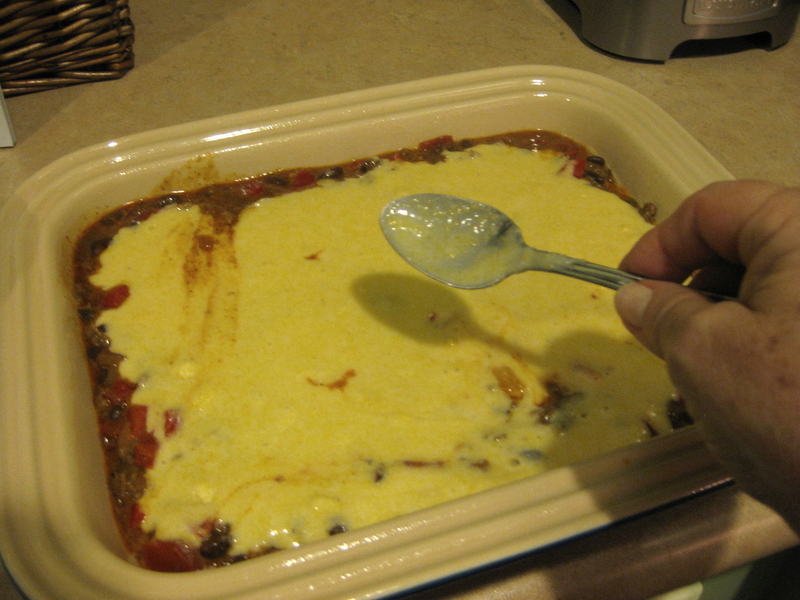 Evenly spoon mixture into a greased 13×9-inch baking dish. Press mixture down evenly. 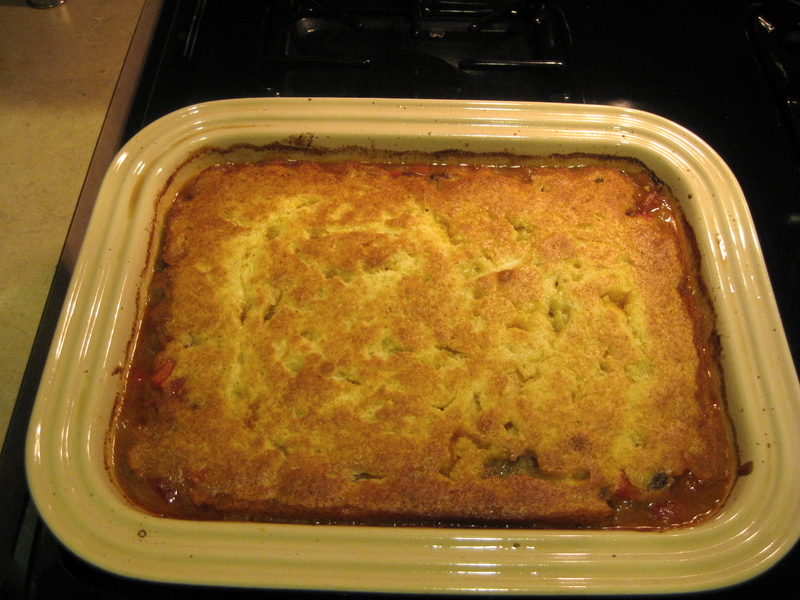 In mixing bowl, combine cornbread mix, milk and egg until just mixed. 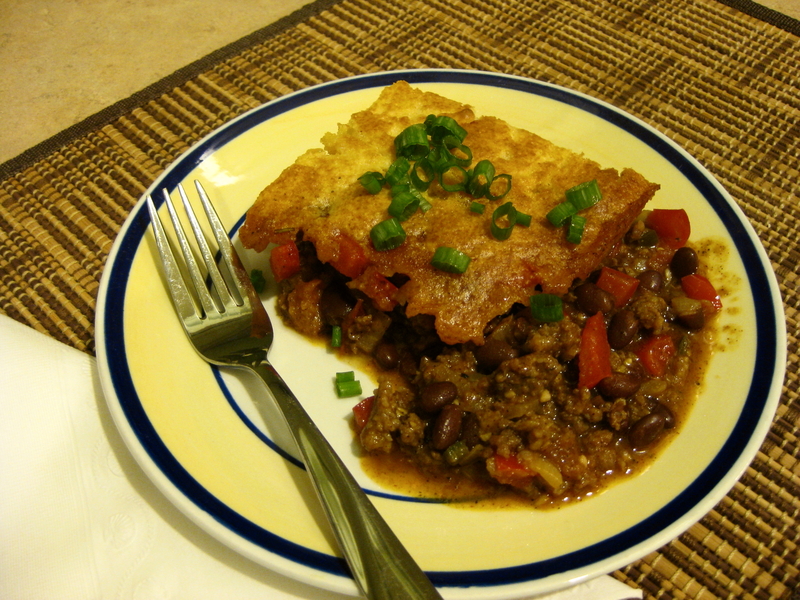 Evenly spread over tamale mixture. Brush or drizzle top with melted butter. Bake at 400 for 25 minutes or until lightly browned on top. Remove from oven and let stand 10 minutes. Serves 6. NOTE: This would be great with a little guacamole on chopped lettuce as a side dish. Hi, thank you for the shout out for Louisiana Kitchen & Culture magazine. You can subscribe to our magazine on line at http://louisiana.kitchenandculture.com it makes a wonderful Christmas gift too. You can purchase it locally at Rouses and Barnes & Noble and is available in most parts of the country. Thanks again.